General Motors announced today that it will invest $691 million for its manufacturing operations in Silao, San Luis Potosi and Toluca to ready them for manufacturing of improved “higher performing, more fuel efficient” powertrains. Mexico President Enrique Peña Nieto and other senior government officials were on hand during the announcement in Mexico City. $211 million of all-new investment to expand the Toluca Complex. 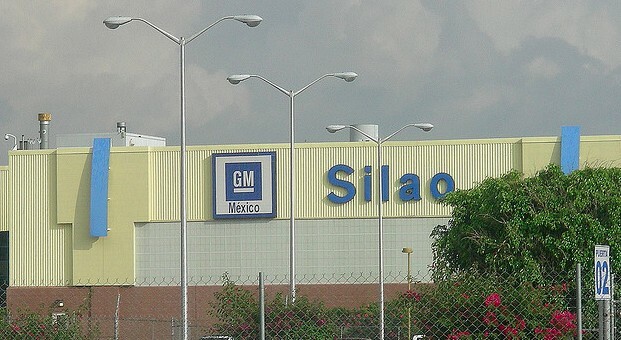 The Silao and San Luis Potosi investments total $480 million and complete the allocation of the $900 million GM Mexico announced in July 2011. Last July, GM announced a $420 million investment for other projects in San Luis Potosi and Silao. I guess thats good that they do it since the CEO of Ferrari did say that Mexico is the next China. But I would also want to say that to improve the quality of it too! Mexico is not the next china. Every thing I ever bought that was made in Mexico has worked. If GM is electrifying the model line, how many years will these plants be active? Maybe GM should bring some of the South Korean operations to Mexico since the workers at GM Korea have announced a strike for next week, and North Korea isn’t friendly yet.